Each vehicle can carry one or two people: drivers from the age of 21 with valid driving license and passengers from the age of 7. Comfortable clothing and shoes (to get dirty), jacket, sun-cream. 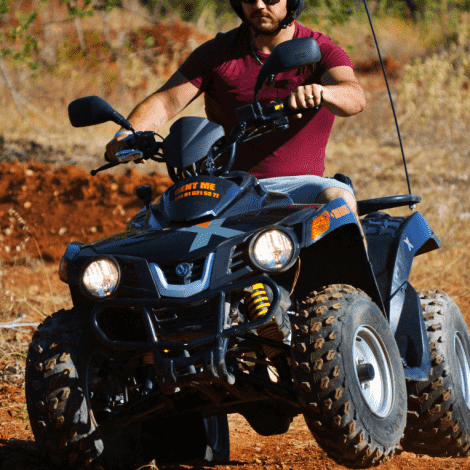 The tour requires a security deposit of € 50 per quad bike in cash on the same day.